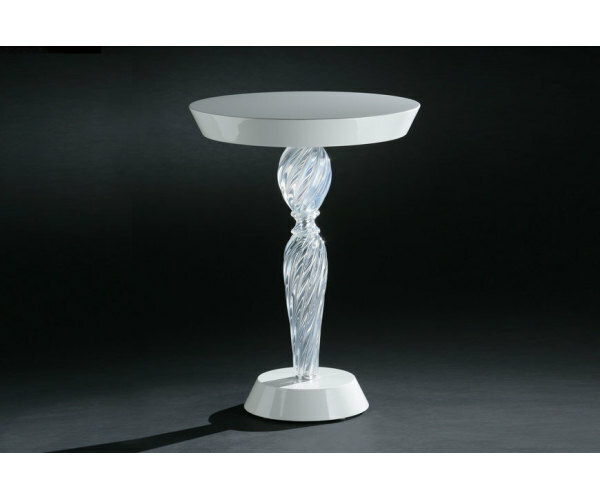 Tables, side tables, consoles, and shelving make up Seguso’s innovative collection of glass furnishings. 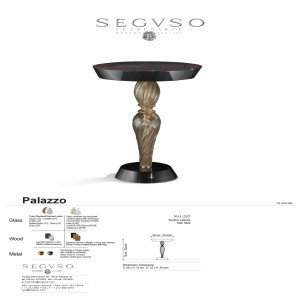 A patent realized with the desire of transferring the splendor, the elegance, and the myth of Venice with the unique magic of Seguso glass. Elegant design characterizes furniture that combines experimentation and tradition. 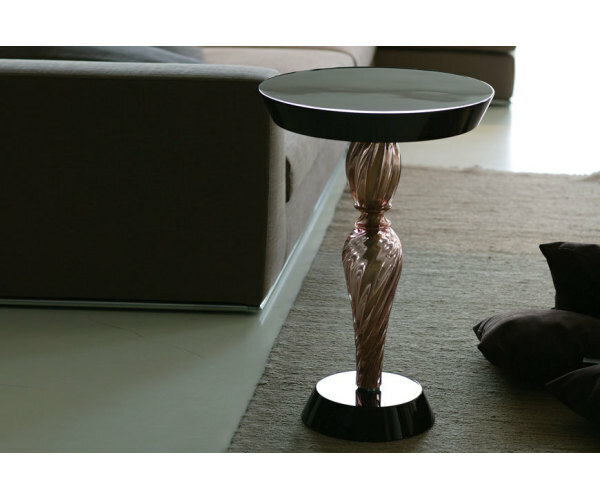 AVAILABLE COLOURS All the tables are a combination of 2/3 materials: colored glass, shiny gold or shiny chrome metal and white or black lacquered wood. 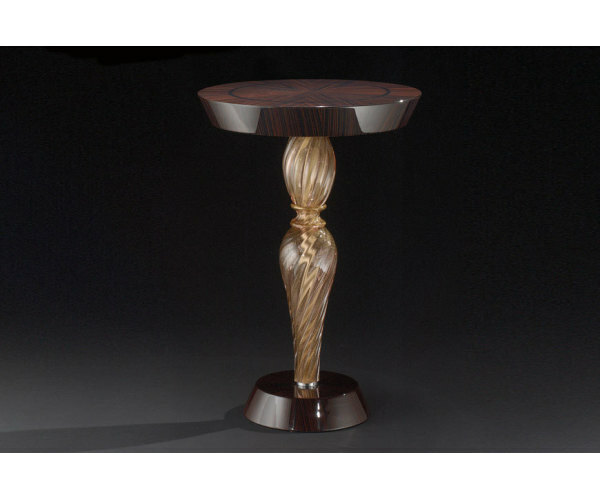 In particular it can be ebony, cherry, walnut veneer, with inlay.